Many people are thinking twice before planning a vacation with a family because of high expenses. However, there is nothing better than going on exciting vacations with your family, especially to c place as beautiful as Bryce Canyon National Park, it is surely a treasure trove of priceless memories awaiting you. To make it possible you need to have a little bit of planning and know how to save money, so that you can enjoy your dream trip. There are various things you can do to cut down your expenses and save money for your family vacations. When you are planning for a vacation, book the tickets in advance for the attractions that you want to see. 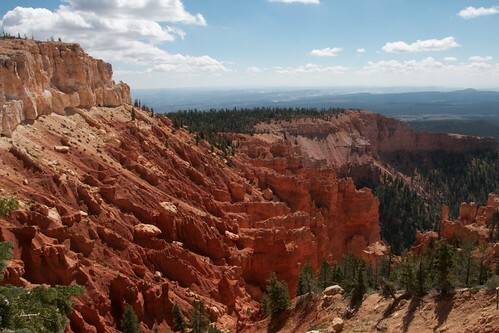 This can help you save money, as many places near Bryce offer discounts for advanced booking. And if you’re flying here, you can obtain discounts in airplane tickets if you book them in advance. Some airlines you don’t need to pay full price for child of certain age, and height limit. The best discounts you get from AAA, so don’t forget to check coupons for discounts. Don’t buy essential stuff at destination like bug spray, sunscreen, etc. buy them at home before coming, that way you can save some money. Because at your destination you end up paying double the price of the product. If you need to buy any groceries than go to some market place out of the tourist area. If you are travelling to a foreign county, then eat local food, that way you can taste different cultural food. You will have a great experience tasting different cultures as you travel. So when you come to Bryce make certain to try some of the local eateries to truly experience the American west. Traveling during the off season helps you save money on air tickets, hotel rates, admission prices, etc. you can utilize the facility of discount price during non-peak periods. Some people plan their schedule very tightly, which is not a very ideal. Relax at one place for few days and spend quality time with your family. If you have pets, leave them at your family or friend, that way you can save few hundred dollars on doggie daycare. The above mentioned tips are all practical, this way you can save lot of money on your family vacation and at the same time you can enjoy your much waited dream vacation. Saving money sensibly can help your plan another vacation soon. So try this and save money.